Everest Rampage SMX-R10 ORION USB Black 4000 Dpi 5 Different Lighting Macro Gaming Mouse; It uses a powerful 4000 DPI laser sensor. 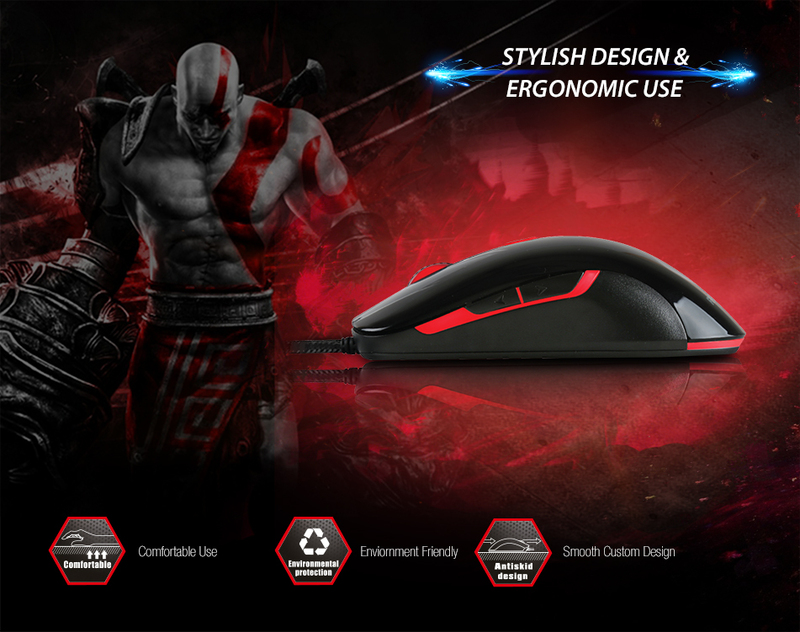 Its special design provides ease of use and excellent grip.The special design makes ORION different from other Gaming mouses. Easily adjust for your personal use through to its unique macro software! 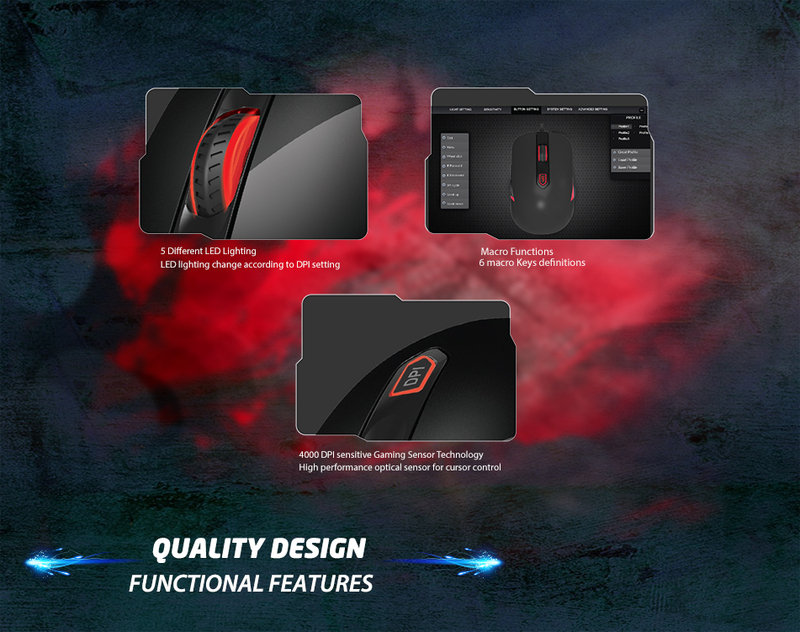 Everest Rampage SMX-R10 ORION USB Black 4000 Dpi 5 Different Lighting Macro Gaming Mouse; Enjoy game play with Rampage ORION, made of quality materials with a soft touch and unique design! 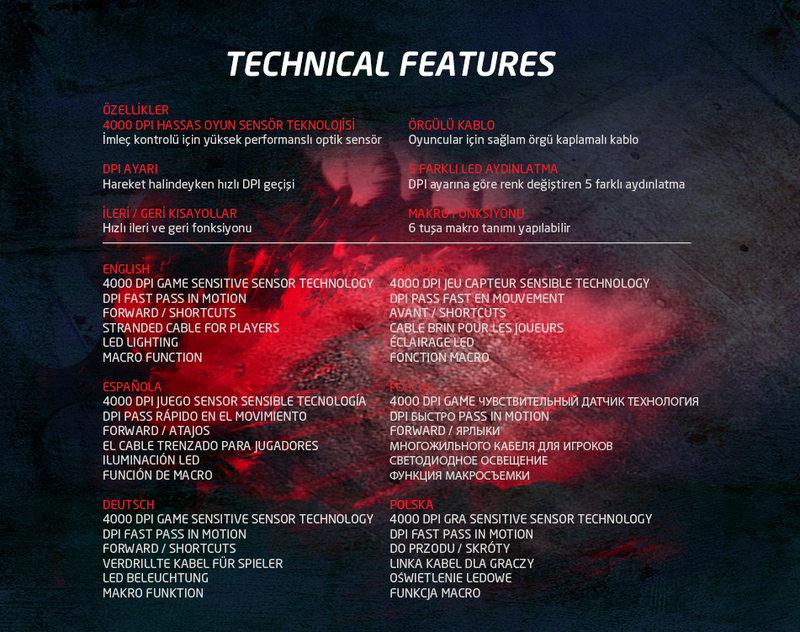 You can easily perform your operations with 5 Level DPI setting. 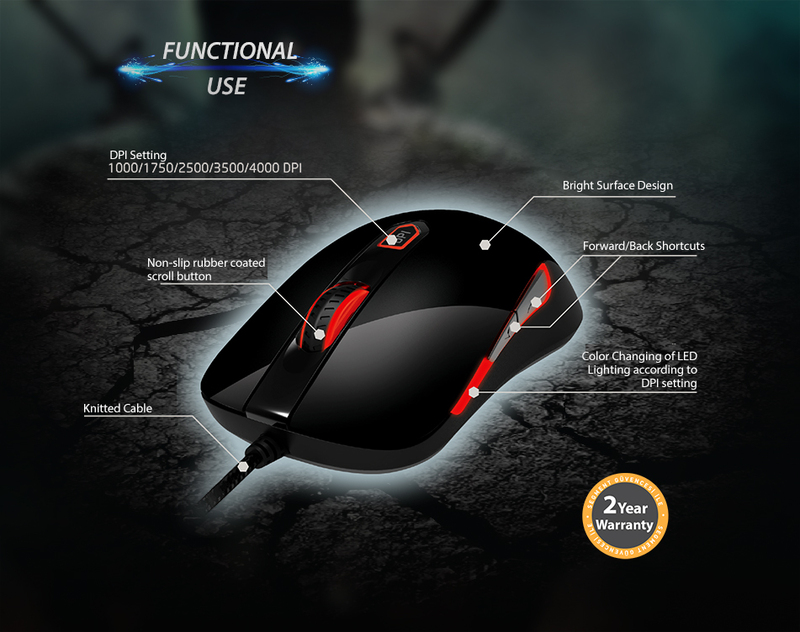 Everest Rampage SMX-R10 ORION USB Black 4000 Dpi 5 Different Lighting Macro Gaming Mouse; The Scroll Key, back and forward and DPI function keys are located on the mouse allow you to make your operation easy. With these buttons, you will be able to make your operations faster and easier. Rampage ORION Made by soft touch construction, comfortable, durable and precise. 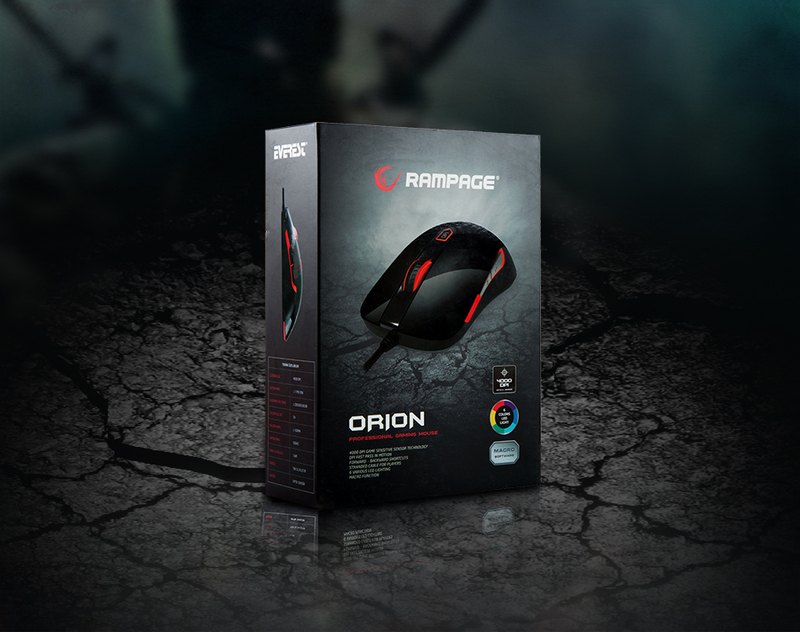 Everest Rampage SMX-R10 ORION USB Black 4000 Dpi 5 Different Lighting Macro Gaming Mouse; ORION will be indispensable with its distinctive features and quality structure! It has a dazzling look with its own unique colors. 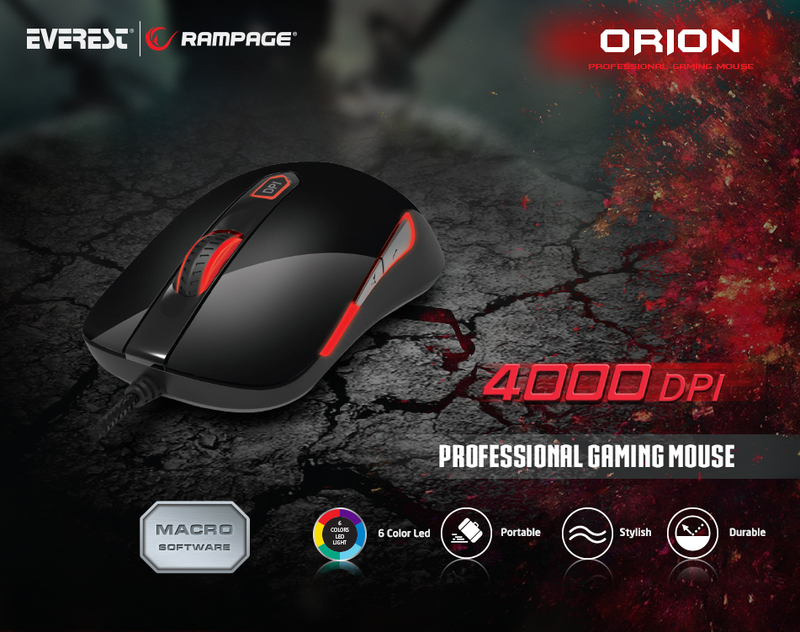 Everest Rampage SMX-R10 ORION USB Black 4000 Dpi 5 Different Lighting Macro Gaming Mouse; Designed to fit perfectly into your hand, ORION offers you a smooth operation experience. 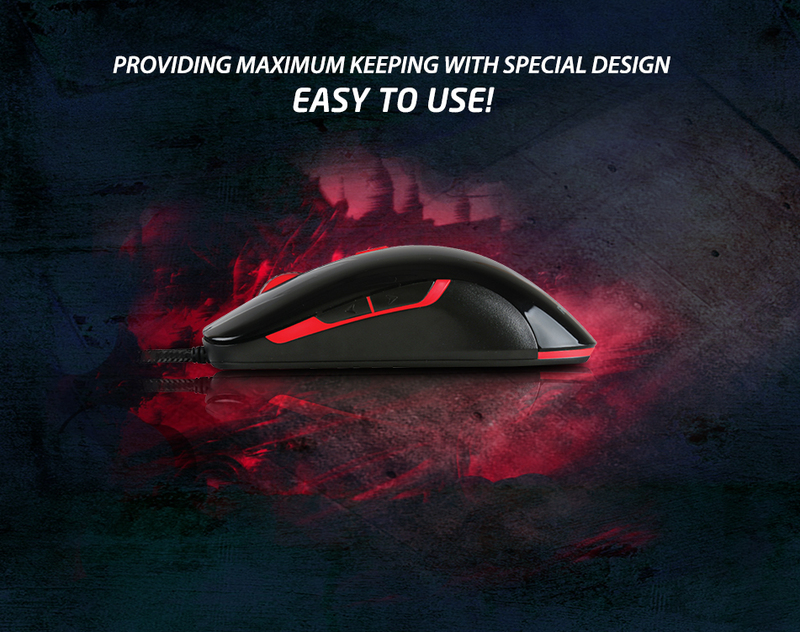 The folds on the side surface and special design ensure maximum grip and prevent your mouse from slipping out of your hand during play. 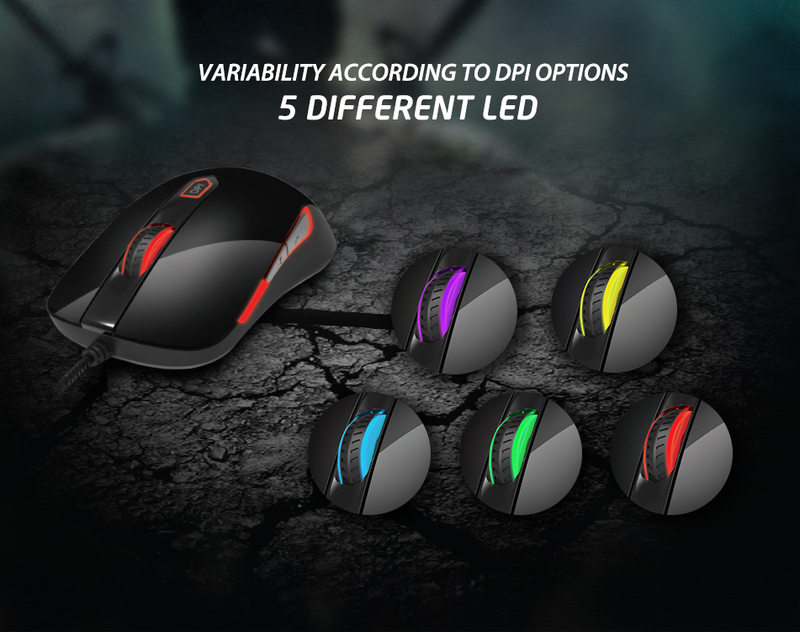 Everest Rampage SMX-R10 ORION USB Black 4000 Dpi 5 Different Lighting Macro Gaming Mouse; Through to 5 different LED colors that vary according to the DPI options, it has an aesthetic look and allows you to distinguish between which DPI range is due to colors. 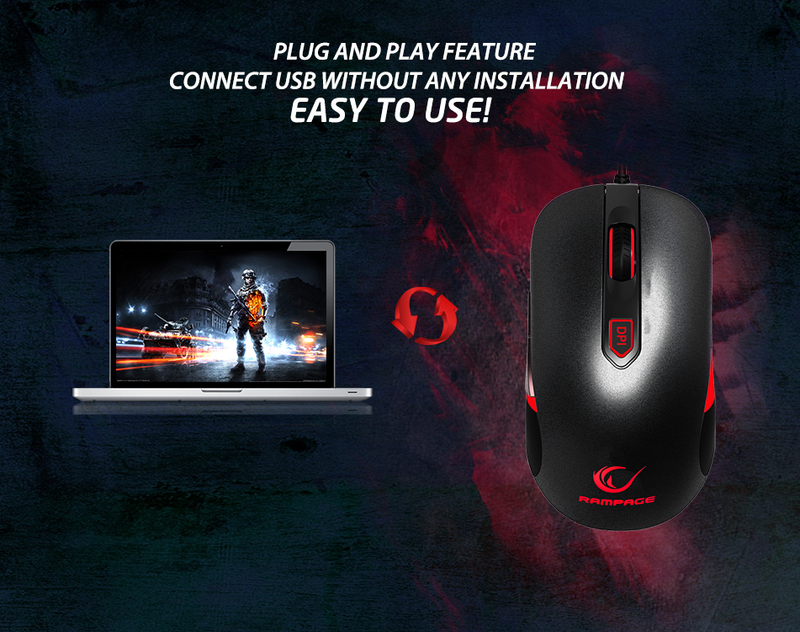 Everest Rampage SMX-R10 ORION USB Black 4000 Dpi 5 Different Lighting Macro Gaming Mouse; You can easily and effortlessly use it without wasting time with the plug-and-play feature. Everest Rampage SMX-R10 ORION USB Black 4000 Dpi 5 Different Lighting Macro Gaming Mouse; Designed with care for gamers, the professional gaming mouse that is capable of easily responding to game requests.